Hello everyone, I'm back with another video today. 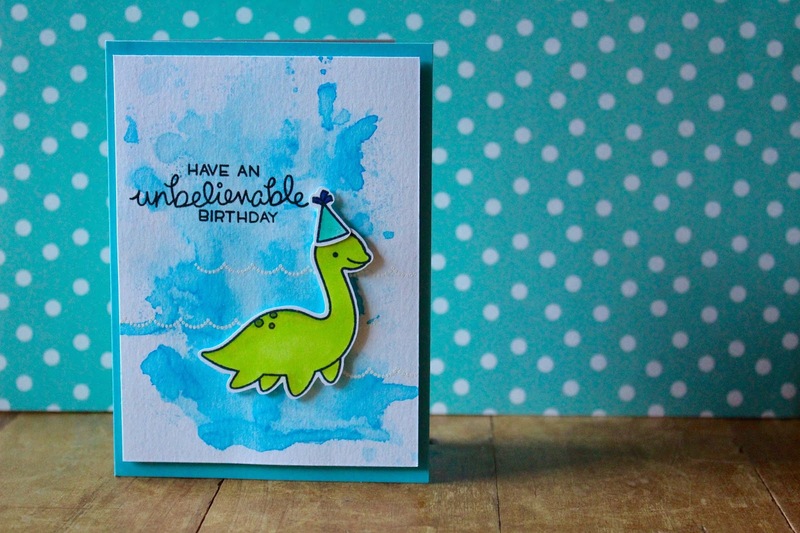 Today I'm featuring the newish Loveable Legends stamp set by Lawn Fawn along with a technique I've wanted to try for a long time, Distress Ink Acetate Smooshing. It was so much fun too! 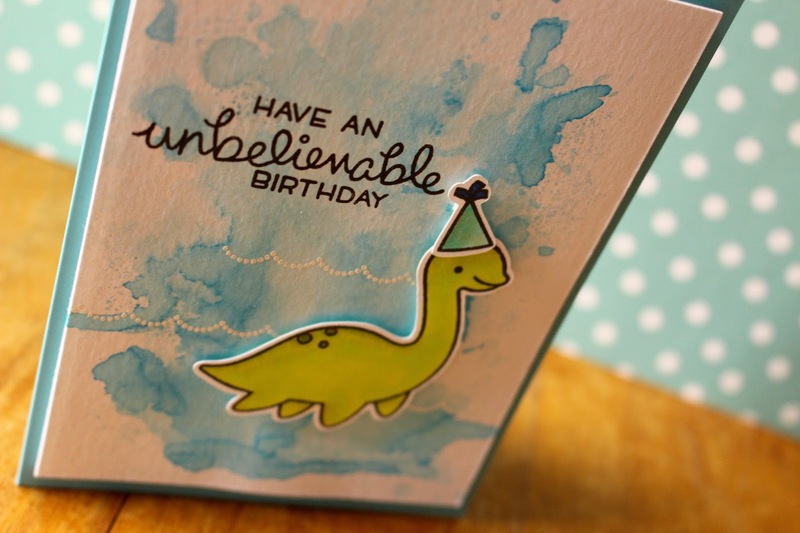 To begin my card today I stamped out my images using Memento Tuxedo Black Ink on some Neenah Solar White Cardstock. I then coloured them in using a few copic markers. I then used my Brother Scan n Cut to cut them out. Once that was done, I worked on my background. I used some Tim Holtz Watercolour Cardstock and three blue Distress Inks - Salty Ocean, Tumbled Glass and Broken China. I started off with my lightest and worked my way to the darkest colour. I just smooshed down the ink pad onto the acetate and then spritzed it with my spray bottle and pressed it down onto my cardstock. I didn't dry each layer until the very end when I wanted a more full background. I then dried the piece when I was happy with it. I then stamped out some waves from the stamp set with some Versamark ink onto the background and coated it with White Embossing Powder and then heat set them all. I stamped out my sentiment using Versafine Onyx Black and then adhered down my images with some foam tape from Scotch. My last finishing touch was to add a little Wink of Stella in the clear and then adhere my panel to some fun foam and then to a blue notecard from Hero Arts.